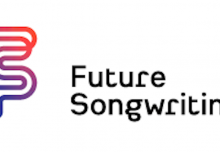 Marisa Wall describes how being a single person music department gave her the opportunity to try out Musical Futures. 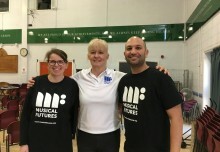 “I’ve always been interested in Musical Futures since starting teaching 5 years ago, picking up ideas for choir items and warm ups from the website. Finally, my new position as a one-man-band in St Richard Gwyn presented an opportunity for me to explore and embed Musical Futures schemes of work into my everyday practice. Don’t get me wrong, it’s been overwhelming and scary (I’m still getting to know pupils and trying to fit in with whole school priorities on objectives, progress checks…etc etc etc) but trialling ‘Find Your Voice’ and ‘Just Play’ has highlighted how fundamentally ‘musical’ Musical Futures is. Seeing the students listen to their four chord mash ups, layering beat box patterns and improvising, whilst creating and developing their skills beats any other year 7 topic I’ve ever done. It’s shown me that a culture of singing can be promoted from the very start of high school, and all pupils have been engaged (incorporating recording devices/music tech has definitely given it greater appeal). I do worry how pupils will cope when trying to work out the riffs on music apps, and worry they might not have the aural skills to succeed. Yet, I have to remember that I won’t know until I give the pupils a chance, and I am often guilty of underestimating what they can do (when they have the time and space to do so). The highlights have been whole classes singing (and rapping) their hearts out to Taylor Swift whilst jamming chords on ukuleles and keyboards. They listen and switch chords, developing knowledge and understanding of major and minor patterns from a practical and musical starting point.